I called our insurance company in the beginning of the year to make sure that all of therapy we have signed up for would be covered. I was told repeatedly that there’s no cap to therapy and we should be good, that even ABA is covered. Praise God! 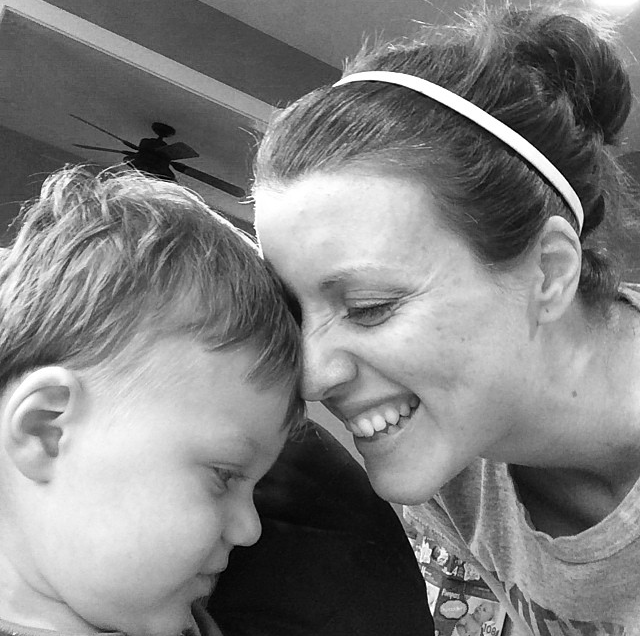 Around this time, I spoke with a fellow autism mama about good ABA in our area. She recommended a BCBA that was excellent, and so I called her and scheduled an intake right away. I was going to create his therapy schedule and fit in as much as I could. I felt like I was racing against the clock. So many people had told us how fortunate we were for catching “it” early. My networking continues to pay off as I met another local autism mama familiar with craniosacral therapy. She tells me how much this helped her son with ASD that’s currently mainstreamed in middle school. I’m intrigued and she points me to the Upledger Clinic in Florida. I give them a call, do an intake and am given the magical CPT codes needed to determine potential insurance reimbursement. Then came the phone call that would set into motion the most terrifying part of this entire process, thus far. I contacted our insurance company to inquire about the cranio sacral therapy. I read off the CPT codes, and then for the first time (keep in mind, I called multiple times to verify), I’m told that autism is excluded from my benefits plan. Excuse me? How could a disorder be excluded? And after multiple phone calls to multiple people at this insurance company, it’s broken down like this Autism + Speech = habilitative services. Habilitative means starting with nothing and building upon it, as opposed to rehabilitative which obviously refers to regaining skills previously held. Companies don’t want to pay for services for children when you are starting with nothing. Wow. Mark gets an autism diagnosis, and we’re told it will open doors for treatment and instead any intervention related to his diagnosis will be excluded, and not covered. The Early Achievements program that Mark is waiting for, this big research proven method for helping children with autism, along with ABA, is now completely out of reach. Mark’s therapy combined would cost us over $7,000 per month without insurance coverage. I felt like the wind had been knocked out of me. I called my HR department who directed me to the most unhelpful, uncaring individual on the planet. I plagued his email box relentlessly. Finally he told me to have Mark’s doctor write a letter indicating the medical necessity of the therapy. Once the insurance company received this letter, they were to have a meeting to determine if an exception would be made. More relentless emailing and calling on my part lead to a big fat no answer. Once again, I went back to HR who set up a private conference call with the HR director and the broker of the plan. After a week of waiting, I was told that my employer was not planning to make any changes to the existing coverage. Sorry. I call another super autism mama who very directly says, well, this is what you’re going to do, you’re going to apply for health insurance through the Affordable Care Act. As soon as we hung up, a quick Google search revealed that I had missed open enrollment by two days. Seriously? That night I felt a sense of desperation that made my heart pound and my head ache. I stayed up late gathering our tax information, and submitted Mark’s application through the Maryland Healthcare Exchange. During one point of the application, I indicated that Mark would lose coverage by April 1st (I picked an arbitrary date). This must have been the magic we needed because at the end of the application it said that he was eligible to enroll and our new window was open until May 1st. I did it! Somehow this seemed too easy so I decided to call the Maryland Healthcare Exchange in the morning. After a long hold, translation: 1 hour, I was connected with a representative who informed me that Mark would not be eligible for a special enrollment period just because my employer wouldn’t cover the therapy he needs. Whenever someone asks me what has been the most stressful about our autism journey so far, I would have to say, being told that your employer excludes autism from coverage and your back up plan is out of reach. This was devastating and made me angry. I think it was this moment where I became the fighter that Mark needed me to be. So the representative explains that I would need to experience a life changing event such a job loss, death, drastic reduction income or a raise. Wait, what? Apparently if our income changed in either direction, he may qualify for the enrollment window to open. My head is spinning. I MUST open this window. Before I get off the call, I tell him that I understand what he’s saying but the website is allowing me to select a plan. “Oh” he says. He places me another hold and when returns he tells me that if the system allowed me to pick a plan, I should just go ahead and enroll. I must have answered a question the right way. This makes me feel nervous. I wait a week or two before doing anything. Feeling uneasy about just “answering a question right”, I decide to reach out for help. I call the wonderful ladies in the billing office at Kennedy Krieger. The Early Achievements program that we were hoping to enroll Mark in would cost approximately $5,000 per month and many families, obviously can’t afford this expense thus they must find the right insurance to cover it. The billing office encourages me to look for a broker that offers assistance to people trying to obtain insurance through the Maryland Healthcare Exchange. I find two brokers and promptly email both. Broker #1 returns my call and states that she’s going to check into some things. Broker #2 explains that if the window was open I should just take it, and select a plan. However, the other broker was more cautious and encouraged me to connect with the local health department. This was probably my biggest mistake in the entire fiasco. Without getting into even more unnecessary details, the folks at the health department opened our file, made some changes and ultimately closed our window for selecting a plan. I was angry and defeated once again. I called broker #1 back and as politely as possible, through tears, told her to fix it! And fix it she did. She was able to talk to someone in the escalation department at the Maryland Healthcare Exchange who reopened his file based on the premise that he had less than adequate healthcare coverage, which is true! The window was reopened! I selected the most expansive plan that would cover the most amount and limit us the least with ABA therapy and habilitative services, like speech. And then I waited, one week, two weeks, three… finally I called and inquired. This lead to more than eight collective hours on hold with the Maryland Healthcare Exchange over the course of three days. My heart goes out to you if you’ve ever had to be on hold with this any other government run program. It was terrible. I really felt like giving up but obviously that wasn’t really an option. So the next day I called again, this time starting with the insurance carrier. They inform me that Mark’s application had been rejected and that the Maryland Healthcare Exchange had made an error. This meant calling them again, shudder. At one point, I had been on hold for over an hour when finally someone picked up, I could hear voices on the other end but no actual person saying hello. I just kept pleading “hello! hello!” because I knew that if I had to hang up, I would have to start all over again. When someone did pick up, I demanded to speak to a supervisor because I kept having to tell our story, give them a reference number and explain our issue with not being contacted to make our first premium payment. The supervisor explained that she would be happy to help me but I had been transferred to the wrong department. Defeat. I finally reached a woman who looked at Mark’s file and determined that our local health department had made a mistake on his application. The interest we paid on our mortgage had been listed under the child support/alimony column. Why? Why did this have to happen? The representative was able to correct it and resubmit. Finally after weeks of these kinds of shenanigans, I was able to make the first premium and on my birthday, a copy of his insurance card arrived. The best.birthday.present.ever.